Mike has been in the Real Estate business since July of 2005 quickly becoming a Top Producing REALTOR the very next year and since then has had the distinction of being Top Buyer Agent, Top Listing Agent, Top Over-All Agent at the C. Dan Joyner flagship office. Every year since 2010 Mike has been recognized as a Top 10 % agent nationwide within the Berkshire Hathaway HomeServices Real Estate network. 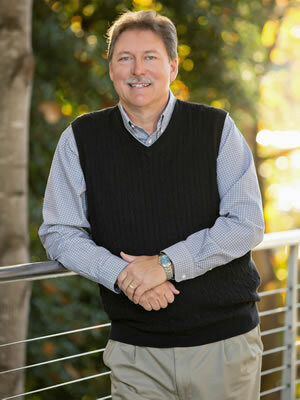 Graduating from the University of Florida, Mike and his wife Lynda moved to Greenville in 1980. He worked at the local NBC station WYFF-TV for 25 years as a TV Director. Mike & Lynda have a beautiful daughter, Michelle. Mike loves taking his family on vacations, whether it’s in a foreign country or an exciting place here in good ol’ USA. Mike enjoys relationships with both buyers and sellers. Having lived in the Upstate of South Carolina since 1980, Mike really knows the area well which comes in handy with folks relocating from out of state or moving from one side of town to the other. He’s also adept at what it takes to get a SOLD sign in the yard of a home he’s listing. You will find Mike is a “people person.” He listens to what you are saying and knows that communicating with you is critical. Mike’s successful business is based on honesty and integrity. He believes in the Golden Rule! And he strives to make your home buying / selling as stress free as possible.